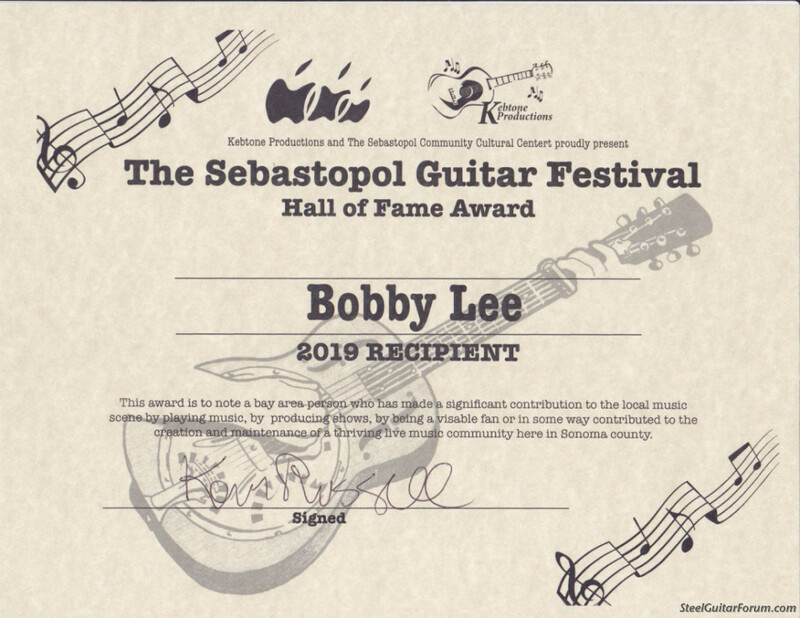 Bobby Black and I received awards at the Sebastopol Guitar Festival on Saturday. I'm speechless, honored, and a bit embarrassed by the attention , but I thought you all would want to see these pics. Congratulations. You deserve all the recognition and praise. You have done much for our community. 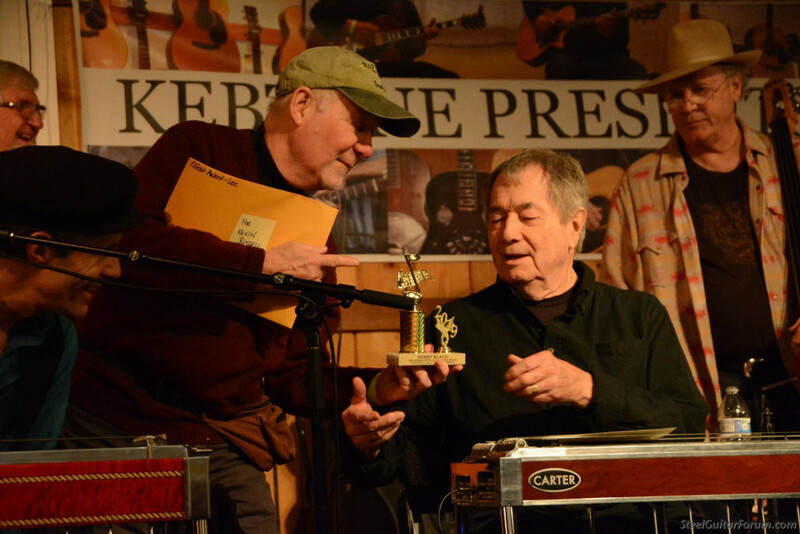 Congratulations Bob, you fill a great void in communications for the steel guitar clan. Your award is greatly deserved. Congratulations to Bobby Black too, of course. Didn't intend to omit him. Long time fan back to the 70's at least. Well deserved for both of you, b0b. Congratulations! Congrats b0b, you are a great player. Congratulations to both of you gentlemen. Bob, you have made a huge contribution to the world wide steel guitar community by providing this Forum which provides information, instruction and communication. Thank you and again, congratulations! Congrats, b0b, well deserved for both your playing and your founding of this Forum!! Congrats to Bobby Black, too. Good Job! Congratulations to Both Bobbys. Congratulations on a well deserved honor! Well deserved B0b and Bobby, B0b, you made the world a lot smaller. 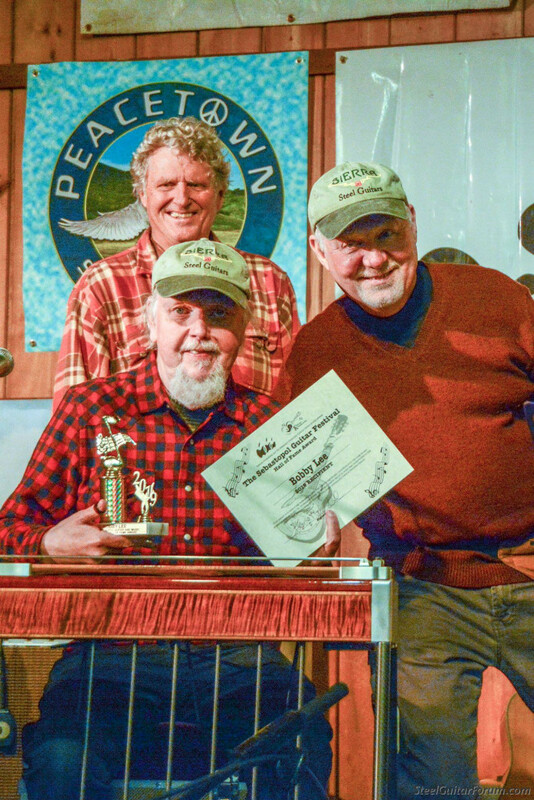 Congratulations Bob and Bobby! You've both given us so much!